Welcome to Welsh Wednesdays and thank you for participating. Thank you for having me Christoph, I read your interviews regularly. You are doing writers a great service. Thank you. I’m glad there are enough talented writers in Wales to fill the spaces. So first up, please tell us about your connection to Wales. Contrary to what many people believe I am not native but I have been living here, in Ceredigion, for twenty years and am firmly rooted. As a child I came to Wales for holidays and it was then I decided it was the place I wanted to live one day. When the children were small my husband and I decided the time was right, and we sold up and bought a smallholding just outside Lampeter. Our new life was never easy but so much better than it had been living north of London. We had fresh air, plenty of space, and best of all, no manic crowds. The first fifteen years were spent raising the children, looking after our goats, ponies and poultry and growing our own veg. I love Wales, my children are fluent Welsh speakers. I tried and failed to learn but do have a smattering and can understand far more than I can speak. Much to my family in England’s disgust I give vigorous support to the Welsh rugby team. When my youngest was ten and I had more spare time on my hands I enrolled as a mature student at Lampeter university where I studied English and Creative writing. After graduation I stayed on to do a Masters in Medieval History. I have always been interested in history. A class project in the (drops her voice to a whisper) 1970s was about the way history has maligned Richard the Third; so I was on to that topic well before they dug him up and the hysteria began. When I was little I wrote stories and read them to my dolls; as a teenager I poured my angst onto paper, and when I was a young mother I wrote stories with my children as protagonists. So I think I was born to write, I’ve done it my whole life and there is nothing else I would consider doing; it is an instinct and if I haven’t written for a week or so I become very grumpy. After I graduated writing historical fiction seemed the natural choice. I don’t think it was a decision but more of a progression. I began my first (and never to be published) novel at university. When I finished it I was astounded that I had actually done it. At the time I didn’t realise the hard work was only just beginning. I am on my ninth historical novel now and, although I doubt I will ever be a household name, I am doing very nicely, with a steadily growing fan base. When I write it isn’t a matter of dates or records. I am interested in perspective, how it felt to be in a certain situation. 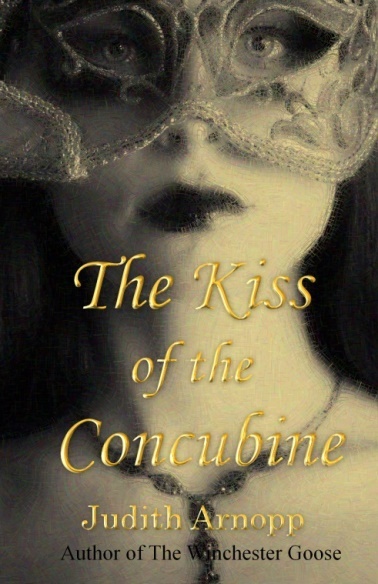 There are many books about Anne Boleyn but when I wrote The Kiss of the Concubine I climbed inside Anne’s head and wrote from her perspective, exploring possible reasons behind some of her actions. 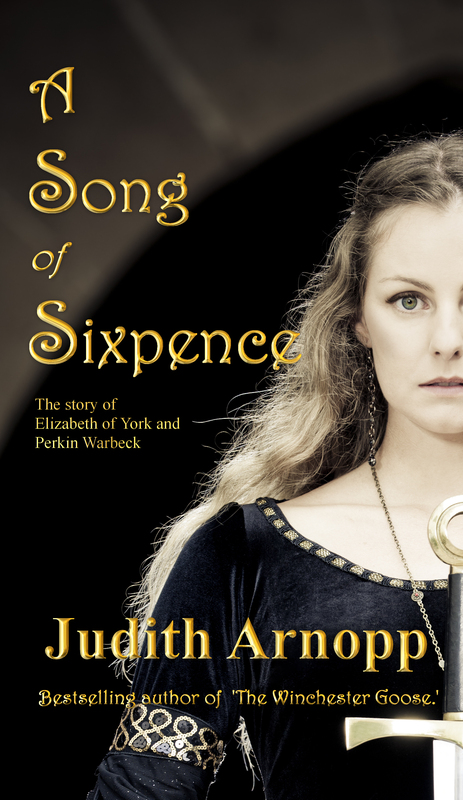 A Song of Sixpence is the story of Elizabeth of York and a fictional representation of Perkin Warbeck. Again, my fascination with perspective comes to the fore when I explore the political situation from the point of view of two very different people; the queen, and her brother and rival claimant to her husband’s throne. Imagining Elizabeth’s possible dilemma, forced to choose between her brother and son was fascinating. Of course, just because I wrote the story doesn’t mean I believe Perkin Warbeck was indeed Richard of York, I am simply exploring the possibility. I am very careful to be as accurate as possible and look at things from all angles. My readers seem to like that aspect of my work – I don’t just recount events but try to explain why they happened. What is your life like outside of writing? What makes you laugh, what makes you cry? I am not the type to weep at movies or sad books but current politics makes me cry, the present government (and the one before that). There is so much ate around just now, and it doesn’t have to be like this. I despair at the state of the environment, our failure to see what we are doing and the bleak future we are committing our children to. All those things make me very sad. My ten-month-old grandson makes me laugh. I never thought I’d be a doting grandmother but he is the cutest, cuddliest human being on the planet. I spend as much time as I can with him and hope that as he grows older, that time will increase. I am at my happiest when I am in casual clothes, out walking the cliff path or the beach, paddling and checking the tide line for treasures or lying in the grass looking at the sky. I do my best thinking then, and take the opportunity to absorb aspects of the world that haven’t altered since the setting of my books; the hue of the sky, the feel of the wind on my face, the salty tang of the sea. I fill the long dark winter evenings with crafts, like needlework and crochet. 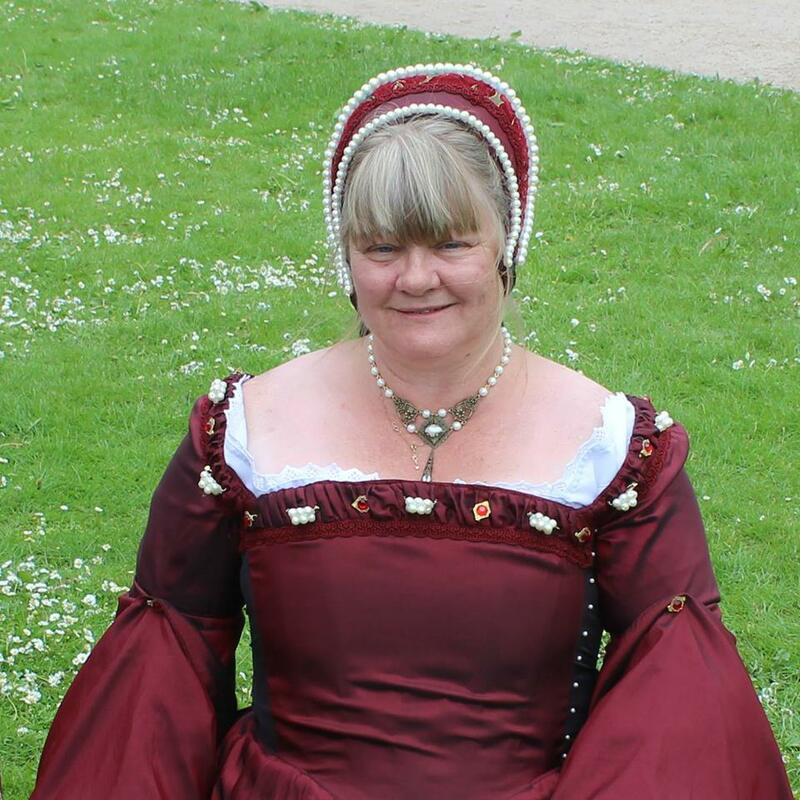 I make Anne Boleyn style French hoods, and enjoy making small black-worked items, such as medieval coifs and partlets. Which Welsh person would you like to invite for dinner and what would you serve? I think it should be allowed… can we go halves, though? What is the best thing about Wales, beyond the Rugby talent? Aside from the diverse landscape, the people, and the deep, dark history, it is the feel of the place. If we’ve been away for any reason, the moment we cross the Severn Bridge and see the familiar soft contours of the hills, I relax. I am home. I guess that is it in a nutshell: Hiraeth – the feeling of home. I have just finished The Beaufort Bride, book one of a Trilogy called The Beaufort Chronicles. It follows the life of Margaret Beaufort, the mother of Henry VII. She was married at an extraordinarily young age to Edmund Tudor, the Earl of Pembroke, and spent the first years of her marriage in Wales. The Beaufort Bride takes place at fabulous Welsh locations like Caldicot Castle, Lamphey Palace, Carmarthen and of course, Pembroke where Henry was born. I always make sure I visit the locations prior to writing so I can get a feel of the place and perhaps a glimpse of how my characters might have lived there. I love to lose myself in the past, take on a different personality and travel back in time, visit dangerous times and have perilous adventures from the comfort of my chair. During the day when my husband is at work, I live quite a solitary life so writing prevents me from becoming too lonely. It also provides an excellent excuse for not going outside when the weather is bad. The downside of that is when it is sunny I am often at my desk instead of outside enjoying the good weather. The downside is the solitary nature of writing; before I lived here I could go for days without setting eyes on anyone but my husband. Now I have moved to the seaside of town of Aberporth people pass my window every day and even if I don’t speak to them, at least I know the outside world is there if I want it. I love the research, and setting the first draft on paper, letting the story pour from me and being as self-indulgent as I please. I am less enthusiastic about the tidying up and editing process but, although I don’t favour this aspect of writing, I am very thorough. Then it goes off to my editor and comes back ready to edit again! The best way for me is to get on with the next book. Of course, I do some online promotion but I have found that word of mouth is the best marketing and costs nothing. I have a facebook page for my books where I post news and I also have a rather neglected blog. The English Historical Fiction Authors blog is one that I try to post on regularly; it is such a wonderfully supportive group with a very wide American audience and if I find time to write an article for them I often find my book sales jump a little. Recently we published a couple of anthologies of our articles. You can see it here. Aside from blogging and posting on my Historical Fiction by Judith Arnopp facebook page I do very little – I am usually too busy writing or researching the next book. Self-publishing is a steep learning curve. To begin with I made the usual mistakes but slowly I’ve learned to find a way to make it work for me. Readers can be tough on indie authors; we are castigated for things that go unremarked in traditionally published books (typo’s, formatting errors etc.) I haven’t received any really damaging reviews but I know people who have. I no longer read my own reviews but my husband does and usually reads them to me while I cringe with my fingers in my ears. I take the comments on board, decide if they are justified or not and if they are, I jolly well put it right. If the review is good, of course, I smile from ear to ear all day long. Early on in my career I had an agent and while I was with her everything seemed to be on hold! Every little thing took so long and she wanted to change the way I write and make me what she called, ‘more marketable’, which to my mind translates as ‘more bland.’ I have no wish to be like anyone else so, after much thought, I dispensed with her services. I now write from the heart for the people who matter. My readers appreciate it, plus I get to keep all my earnings for myself (and the tax man). Write. Being an author is about getting words on a page and crafting them into perfection. Don’t waste time on social media, don’t worry about writing like other authors. Find your voice, join a class, polish your skills and write, write, write. If you don’t do that you aren’t a writer but just a wannabe. For more information about Judith’s work click on the links below. Lovely interview – history, Wales, writing – my three favourite things! yes, you can connect with me, I am on facebook, send me a message Shilpamargaret. Ooh Hii. But I do not use FaceBook now. If you are fine, do mail me at impeccablehopes.gmail.com Thank you and sorry for the inconvinience. Lovely to read more about you, Judith. The upcoming Llandeilo Book Fair looks set to be a party! I have a huge respect for writers of historical fiction. The amount of research must be phenomenal. Thanks Carol. It’s been a delight to have Judith on my blog and I’m looking forward to meeting her and you at the Book Fair! Another great interview on your Welsh Wednesday series. I’ll definitely have a look at Judith’s books. They sound fascinating. Great interview. I particularly resonated with Judith’s comments about readers reviews and how to deal with them. Looking forward to meeting at the Llandeilo Book Fair. Thanks Graham. Was good to meet you in person last week. The Book Fair is going to be great fun! I’m also looking forward to meeting Judith. I love her attitude towards marketing and her advice to writers. I loved every line of this interview and can relate to many of its aspects. I’m wondering if Judith has any genetic affiliation with the Tudor reign? The reason I ask is because I maintained an inexplicable, almost nostalgic fascination that verged on longing with those present during the Tudor reign for many years, only to discover later that I am directly descended from the Plantagenets and related to the Stewarts and Anne Boleyn. One glimpse at period clothing, such as that which Judith dons on this post, and the hair on the back of my neck stands up! Clearly there is something in the idea of genetic memory. Wondering what this fabulous author has to say! Great interview:) Her books look fantastic! 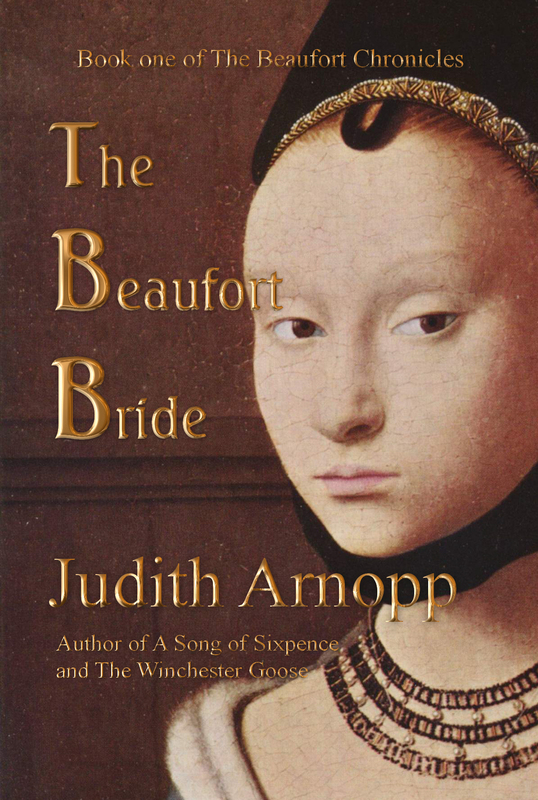 Christoph Fischer​ meets historical novelist Judith Arnopp to talk about The Beaufort Bride, A Song of Sixpence and her other books.. The covers are stunning. I will need to copy these titles down to see if our library will purchase them. 🙂 I like historical references, even with fictionalized plots. Wow, thank you for all the wonderful responses and thank you Christoph, in particular. I did start to reply to you all individually but hey, I have a book to write! I am always surprised when people find me interesting but it is lovely 🙂 I am SO looking forward to getting out and about a bit more now we have finally downsized to a manageable home. See you all at the Book Fair! and anyone who wished to contact me, just look for me on facebook and send a message, I am never too far away from the pc. Have a lovely weekend! Thanks Judith. It’s been a delight to have you here and have so many responses to the interview. Looking forward to seeing you int he flesh and to reading whatever you are working on at the moment. Happy writing! Fascinating interview with Welsh author Judith Arnopp.